Uneasy about balloons rides because your fear of heights? You’re not alone. Luckily, there are several solutions. Here are the best ways to overcome your fear. Have you ever wanted to go on a hot air balloon ride but the thought of being thousands of feet in the sky fills you with dread? Does your stomach clench when you’re walking across a bridge? Do you have to avert your eyes when you’re on a roller coaster ride? The reality is, you’re not alone. Many people have a fear of heights. And by many, we mean 3% to 5% of the American population. While this is a normal fear, it doesn’t mean you have to miss out on some great experiences— such as balloon rides. In fact, it’s recommended that you confront your phobia head on. In this article, we’ll give you some tips and tricks on how you can overcome your fear of balloon rides. And how you can get one step further to squelching your fear of heights. Acrophobia is the scientific term for fear of heights. So, a person who suffers from acrophobia is afraid of being several feet above the ground. Like many phobias, your fear of heights could have come about a terrifying experience that involved heights. You could be anxiety prone or coincidentally had a panic attack. And you just happened to be walking across a bridge. Maybe one of your parents has a fear of heights and you picked up on their fear when you’d be in an elevator or on a roller coaster. Or perhaps your fear is innate. Every person has a fight-or-flight response. If we didn’t have it, humans probably wouldn’t be here right now. It’s what keeps us from getting bit from rattle snakes and attacked by bears. But what if we can’t run away or fight it? You see, that’s what happens when you’re in the air. Your feet have nowhere to carry you. Which can make us feel out of control. Also, your eyes search for reference points roughly thirty feet in front to orient your body. When you’re on a balloon ride or skydiving, the reference points are constantly moving. Especially when skydiving or hang gliding, there isn’t a reference point to orient your body. Lastly, along these lines, our senses bring in valuable information for our brain and body to assess if this is a secure environment. These senses include inner ear, eyes, touch, smell, and hearing. According to this Psychology Today article, if any of these senses decreases, it lessens the ability to reference our body against other objects. We can then become nervous because we are (subconsciously) aware that this is happening. It then makes sense why people feel nervous when they’re taking balloon rides or on an airplane. But what can you do to make you less afraid of heights and enjoy a balloon ride? Read on to find out! 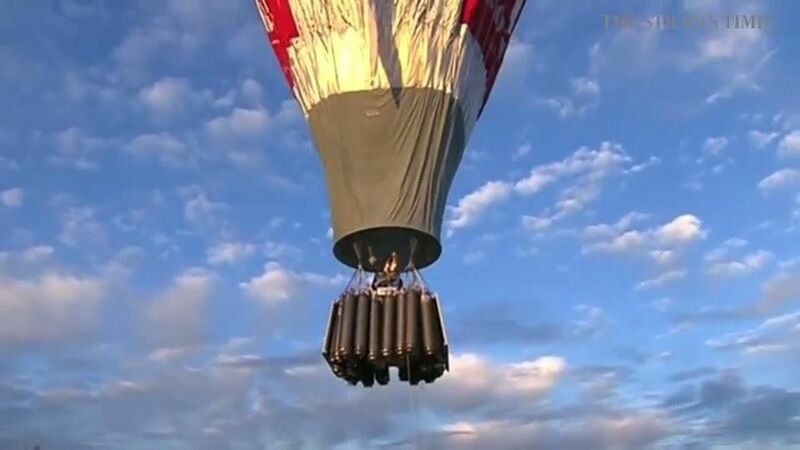 Below are practical tips you can use so your balloon ride experience is enjoyable. Schedule your balloon ride a couple months in advance. This will give you time to deal with your fear of heights on a smaller level. Maybe this is going on an elevator? Or walking up several flights of stairs? Everyone is different. Then, rate that situation from one to ten, with one being the least afraid to ten being the most. If you’re still unsure about the score for each scenario, list or think of some situations where you don’t feel afraid of heights at all. After rating your list, start at the bottom and work your way to the top. Let’s say walking up several flights of stairs is a six for you. It’s the lowest rating on your list. Start exposing yourself to this situation and walking up flights of stairs. Of course, you don’t have to walk up ten flights of stairs in one day. Do this little by little. Start by walking up one flight of stairs. Check in with yourself. How are you feeling? Do you sense your stomach clenching and your heart rate increasing? Ride it through. And go up another flight. Then go back down. The next day, go up three flights of stairs. And more and more. Once you feel comfortable walking up stairs, do a situation on your list with a higher score. Maybe that’s being in an elevator or walking across a bridge. The truth is, you want to slowly expose yourself to your fear of heights. That way, when you go on the balloon ride, you have confidence in managing your fear. You don’t have to go about this alone. In fact, we don’t recommend it. Talk to a safe person about your fear of heights. Have them go along with you when you walk up those stairs. They can serve as a source of encouragement and motivation. Let’s say you slowly exposed yourself to your fear of heights. You’ve gained more confidence. But your heart’s still racing during the take-off. It’s ok. Breathe through it. Squeeze your friend’s or partner’s hand. Focus on something that’s stationary inside the basket for a few minutes. And then dare yourself to look out at the spectacular view. Feel the wind and the sun on your face. Smell the breeze. Use your senses to not be nervously looking for control. But to let go, surrender, and enjoy the experience. We hope this helps you to enjoy balloon rides. Trying to plan the perfect honeymoon? A romantic hot air balloon experience is ideal for unique honeymoons. Read on for tips for planning your balloon ride! In the midst of hectic wedding planning, it is easy to overlook the honeymoon experience. After all, you’re so busy focusing on that big day. But we urge you: don’t make this mistake! Your honeymoon is one of the most important and special parts of your wedding process. It may be one of the first leisurely moments you and your spouse enjoy together. After all the hustle and bustle that comes with your big day, this is your chance to truly soak in your love and commitment to one another. Honeymoons can be so much more than just lying on the beach and frozen cocktails. Why not look for something a bit different? Why not make it an unforgettable experience? Whether you’re honeymooning for a week or squeezing in a new adventure in just a few hours, check out the hot air balloon experience! 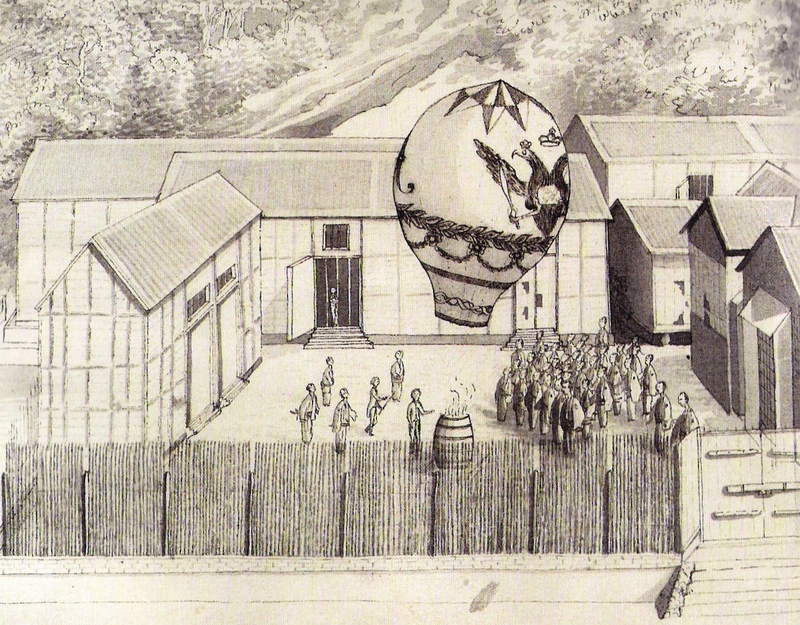 Well for one, it’s a hot air balloon. That’s cool on its own. Also, you’re flying in the sky with your loved one. The awesome factor is already pretty high. Whether riding in a hot air balloon is on your bucket list or it simply piques your interest, it’s absolutely something you must try! These photos are undeniably important. But, honeymoon photos represent an artwork all of their own, revealing the intimate, playful, and happy first encounters of the excited couple. Imagine the romantic canvas of you and your honey in a hot air balloon with the gorgeous sunset sky or beautiful Western Mountains as a backdrop? Doesn’t get more unique (or breathtaking) than all of that. At heights like this, there’s no such thing as a bad selfie! Better yet, you won’t even need to force those big smiles. The hot air balloon experience typically starts (sunrise rides) or ends your day (nighttime rides!) This is the perfect way to set the template for your day of sightseeing around Arizona or New Mexico or unwind from it entirely. And, if we’re being honest, champagne makes everything start or end on a good note, right? One of the most beautiful elements of marriage is taking on risks on new challenges together. A hot air balloon experience provides just that. After all, what better way to seal a lifetime of love than toasting champagne 3,000 feet above the ground? Or by checking out the beautiful sky views of the Western terrain? A hot air balloon experience provides an equal balance of thrill. It provides enough adventure to satisfy the adrenaline-fueled junkie. It’s also safe enough to calm even the most anxious person’s nerves. We think that’s the perfect combination for our newlywed couples. While we’re equally partial to both New Mexico and Arizona, we want you to create a memorable experience for yourself. That’s especially true if you are making a vacation out of this trip! Both states have beautiful views and experiences to offer. After booking your hot air balloon experience, scope out other exciting activities in Phoenix, Albuquerque, or Chandler. Each of these locations offers an assortment of experiences for all kinds of honeymooners and travelers! While we think any good time is a good time for flying, consider the views and time of day you’re interested in. Sunrise flights start early in the morning when the world is dark, and you’ll watch the sunrise during your hot air balloon experience. Sunset flights offer beautiful views of New Mexico or Arizona day skies turning into nighttime. Looking for something even more adventurous or out of the norm? We are also the only flight company in America providing nighttime flights! We’re talking full moonlights and panoramic city light views. Take note that you’ll be partaking in a statistic that is extremely small. 99% of hot air balloon pilots have never flown at night. Different seasons create for different temperaments. Optimal conditions are required for successful flying. Note that balloons cannot fly in rain or when winds hit above 10 MPH. Obviously, weather always has an unpredictable element to it, but you will want to consider the time of year during your hot air balloon experience planning. For dress attire, we recommend dressing in layers, as it can alternate between being hot and cold. This depends on the time of year, wind, and balloon heights. Want to be part of something historical or want to participate in a long-standing community tradition? For a truly one-of-a-kind hot air balloon experience, consider attending a festival. You’ll be high in the sky among hundreds (we’re talking 600+) other balloons, and it’s quite the sight to see and experience. Our hot air balloons comfortably accommodate 12 people, which already makes for an intimate experience. This allows for optimal space and mingling within a small group. If you are the social type, this may be perfect for you. 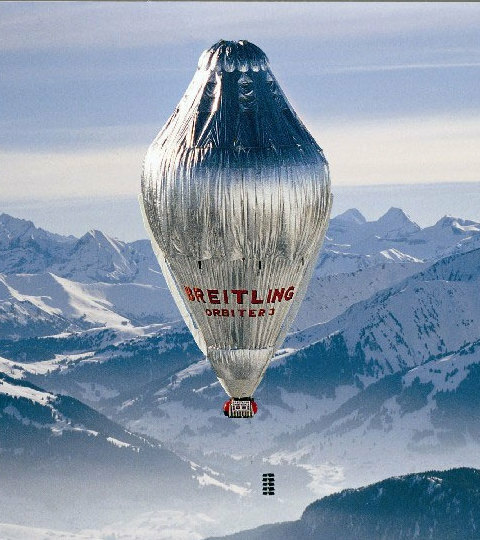 But, if you’re looking for something a bit more private and romantic, consider having your own private balloon and pilot. These packages include your own customized VIP flight ceremony, champagne, and tasty snacks. Is there anything better than sharing your own private sunrise or sunset with your new spouse? We certainly don’t think so! Want to take it up even more of a notch? Private balloon packages can be customized completely to your needs and wants. We’re talking limousine services to and from the balloon and special dinners. It is your honeymoon, after all. You deserve to indulge! Ready to book the hot air balloon experience of a lifetime? If so, contact us here. For more information on our different packages and prices, click here. Would you consider taking a hot air balloon ride for your honeymoon? We’d love to hear from you! Since your hot air ballooning experience will be outdoors it’s a good idea to bring some s unglasses.